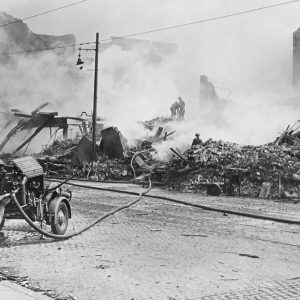 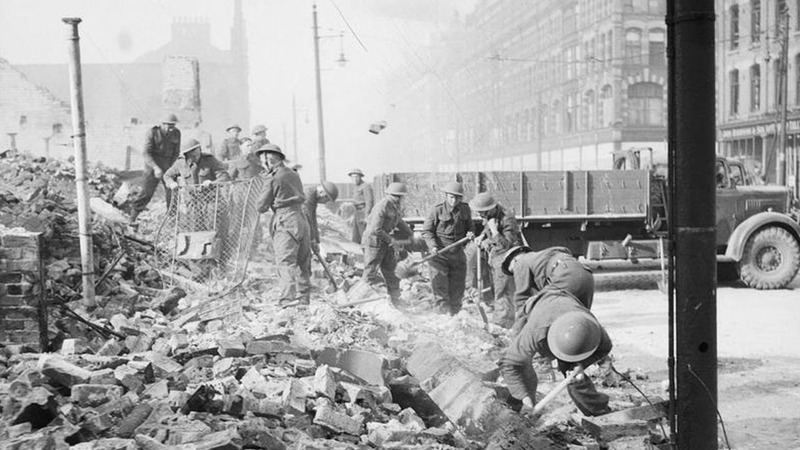 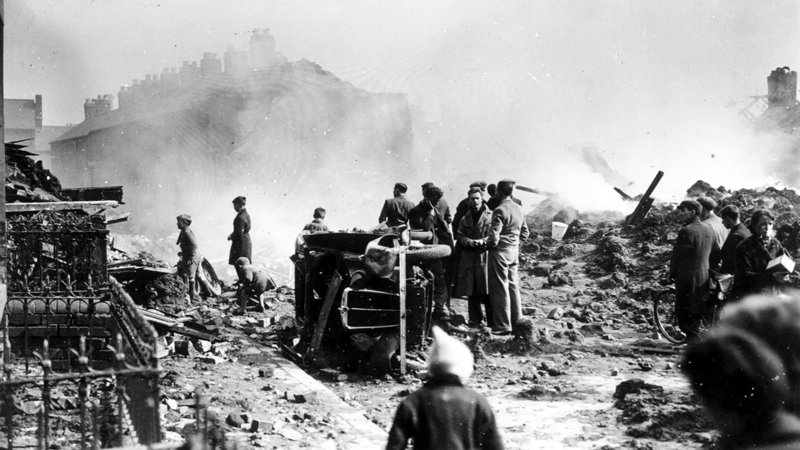 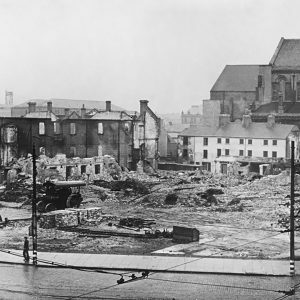 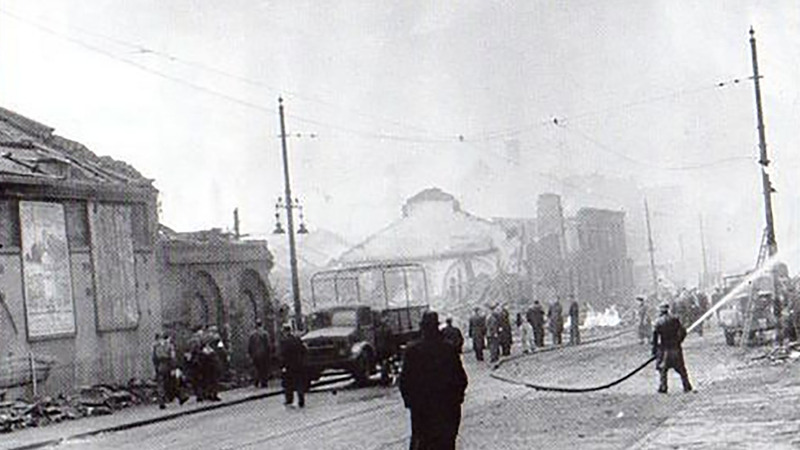 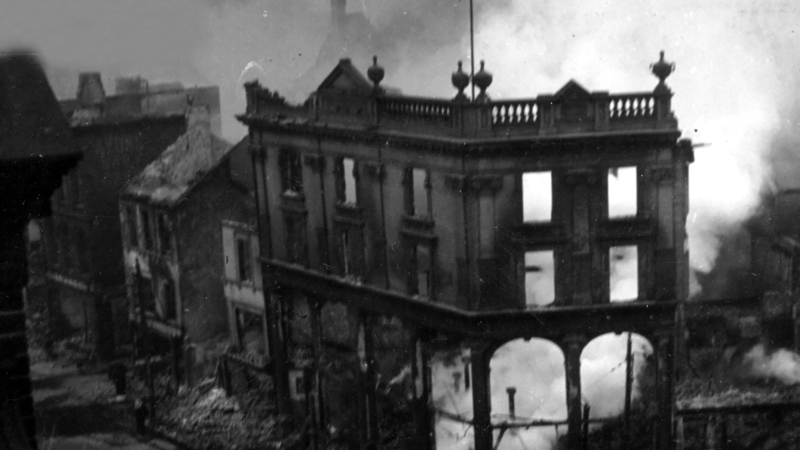 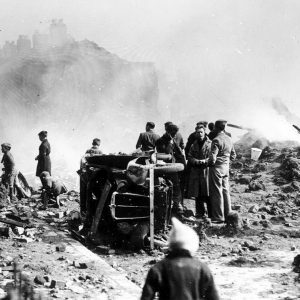 In the Belfast Blitz raids of 1941, Luftwaffe bombs on North Belfast caused widespread devastation and loss of life among both Protestants and Catholics. 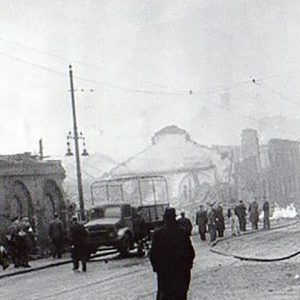 In North Belfast, Co. Antrim, Atlantic Avenue was one of the streets heavily damaged by Luftwaffe bombs during the Belfast Blitz of April and May 1941. 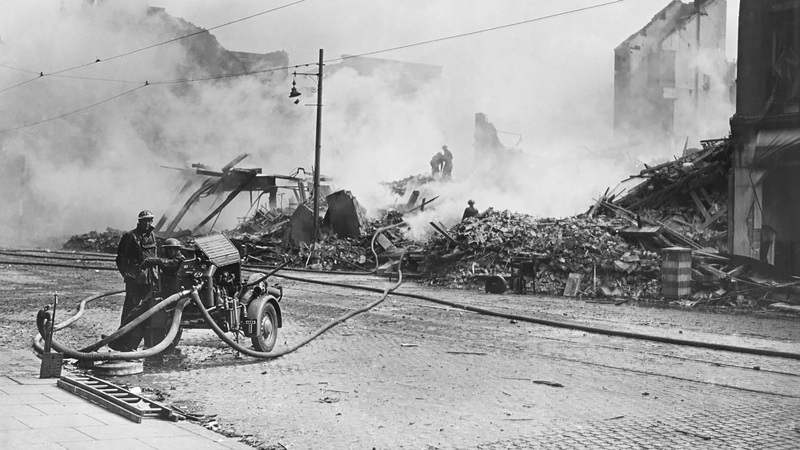 Hallidays Road off the Limestone Road in North Belfast, Co. Antrim was the scene of much destruction after the Belfast Blitz during April and May 1941. 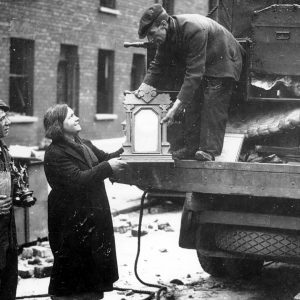 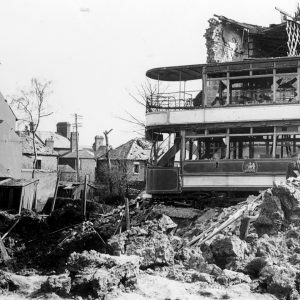 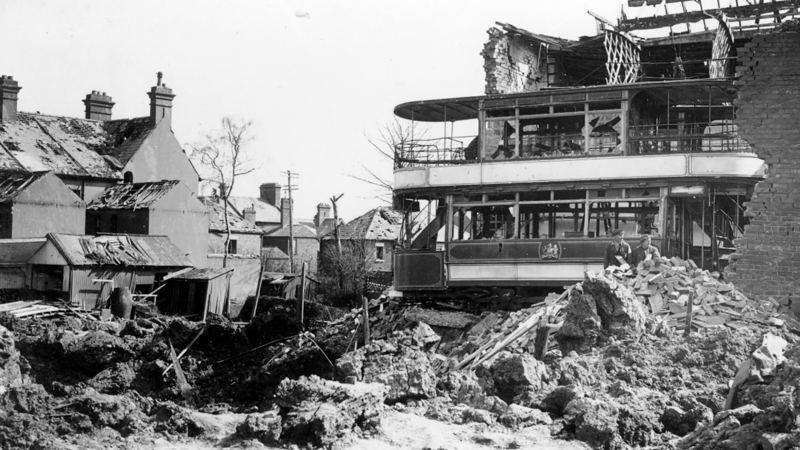 Salisbury Avenue in North Belfast, Co. Antrim showed the levels of destruction experienced in that part of the city during the Belfast Blitz of April 1941. 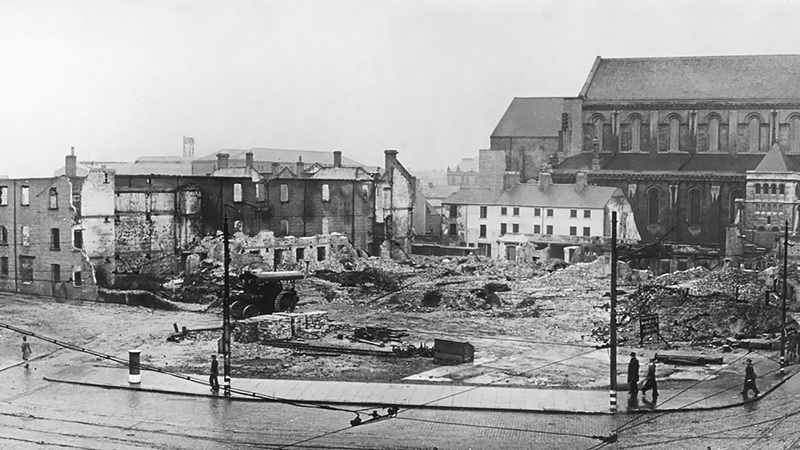 Unity Street in North Belfast, Co. Antrim was hit in The Easter Raid of the Belfast Blitz on the night of 15th-16th April 1941 destroying Trinity Church. 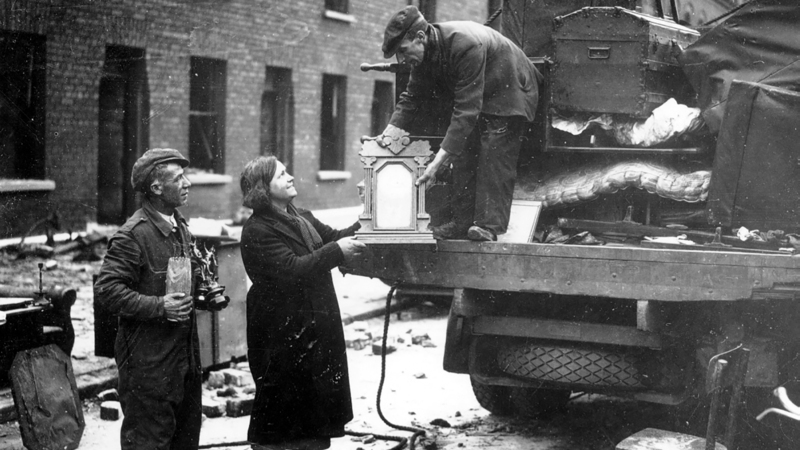 York Park in North Belfast, Co. Antrim was one of many small streets in the vicity of the city's thriving docklands that suffered during the Belfast Blitz. 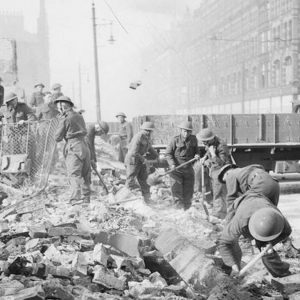 Continuing on from York Street as it leaves Belfast City Centre, the York Road area was devastated by Luftwaffe bombs during the Belfast Blitz of 1941. 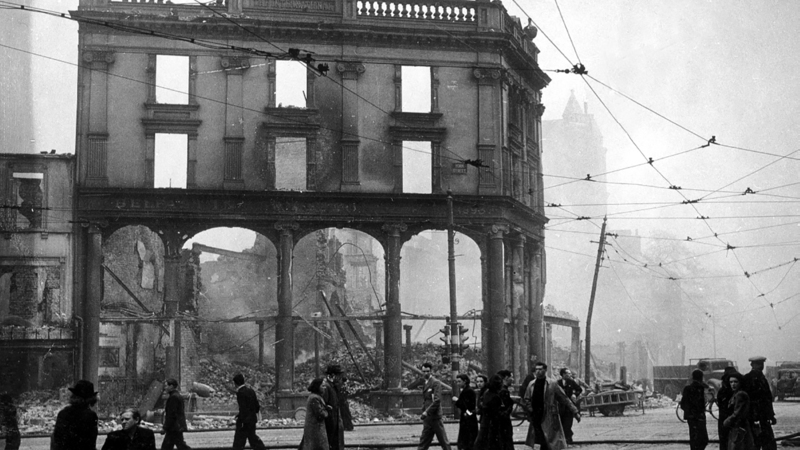 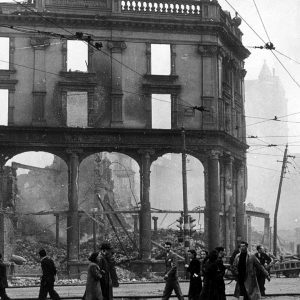 Many historic buildings on York Street, Belfast such as the International Bar and the Midland Hotel were extensively damaged in the Belfast Blitz of 1941. 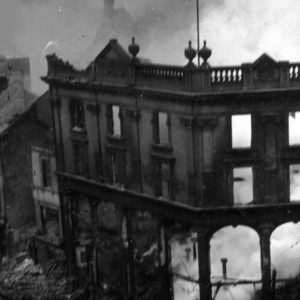 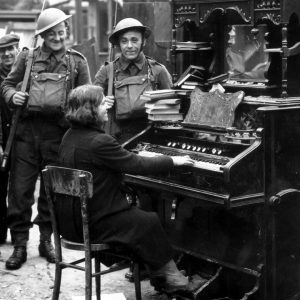 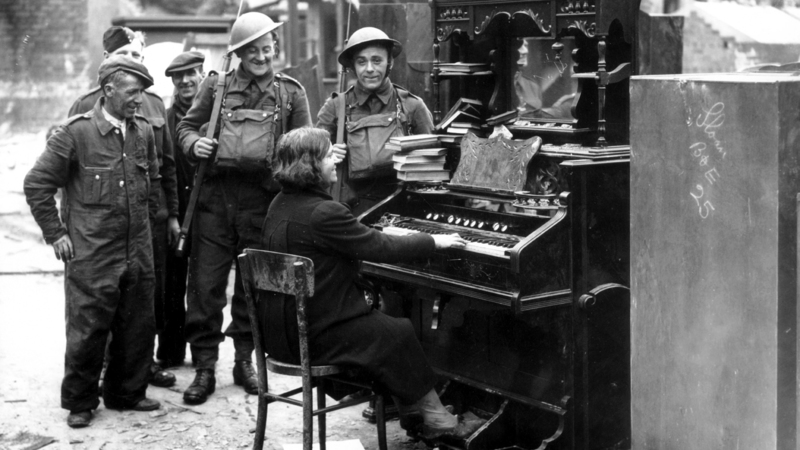 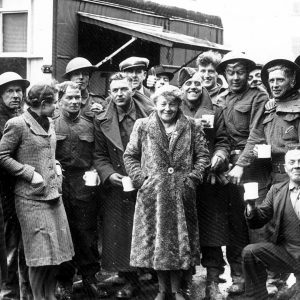 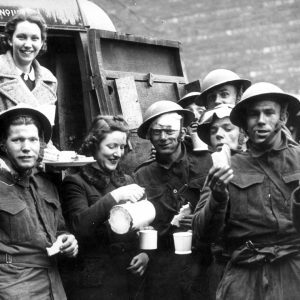 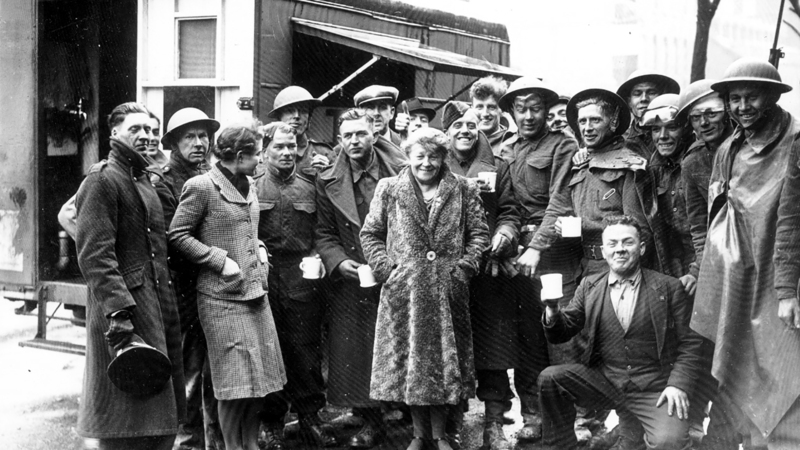 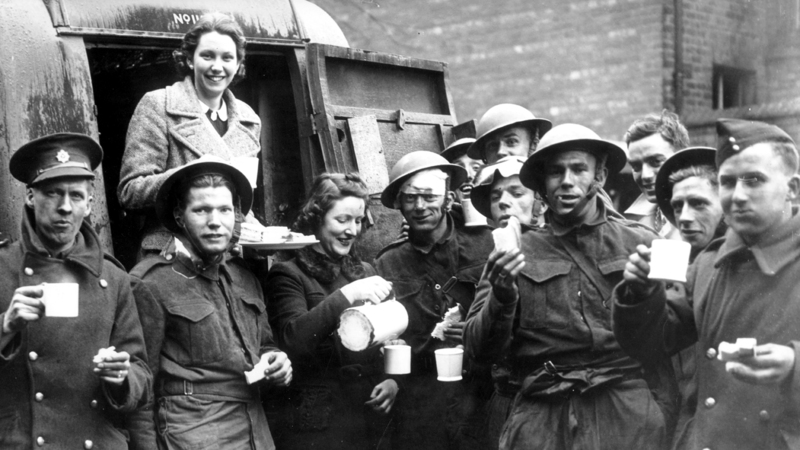 If you enjoyed this post on "Belfast Blitz: Bombs on North Belfast", please share with your friends and followers.